Arts July 28, 2012 / By Noa Kageyama, Ph.D. The seemingly obvious lesson that only took me twenty-three years to learn. You have probably heard the old joke about the tourist who asks a cab driver how to get to Carnegie Hall, only to be told: "Practice, practice, practice!" I began playing the violin at age two, and for as long as I can remember, there was one question which haunted me every day. I scoured books and interviews with great artists, looking for a consensus on practice time that would ease my conscience. I read an interview with Rubinstein, in which he stated that nobody should have to practice more than four hours a day. He explained that if you needed that much time, you probably weren’t doing it right. Even Heifetz indicated that he never believed in practicing too much, and that excessive practice is “just as bad as practicing too little!” He claimed that he practiced no more than three hours per day on average, and that he didn’t practice at all on Sundays. It seemed that four hours should be enough. So I breathed easy for a bit. And then I learned about the work of Dr. K. Anders Ericsson. When it comes to understanding expertise and expert performance, psychologist Dr. Ericsson is perhaps the world’s leading authority. His research is the basis for the “10,000-hour rule” which suggests that it requires at least ten years and/or 10,000 hours of deliberate practice to achieve an expert level of performance in any given domain – and in the case of musicians, more like 15-25 years in order to attain an elite international level. Those are some pretty big numbers. So large, that at first I missed the most important factor in the equation. Meaning, that there is a specific type of practice that facilitates the attainment of an elite level of performance. And then there's the other kind of practice that most of us are more familiar with. Have you ever observed a musician (or athlete, actor, trial attorney) engage in practice? You'll notice that most practice resembles one of the following distinct patterns. This is where we simply repeat the same thing over and over. Same tennis serve. Same passage on the piano. Same powerpoint presentation. From a distance it might look like practice, but much of it is simply mindless repetition. This is where we activate our autopilot system and coast. Recite our sales pitch three times. Play a round of golf. Run through a piece from beginning to end. Then there's the combined approach. For most of my life, practicing meant playing through a piece until I heard something I didn't like, at which point I'd stop, repeat the passage over and over until it started to sound better, and then resume playing until I heard the next thing I wasn't pleased with, at which point I'd repeat the whole process over again. Unfortunately, there are three problems with practicing this way. Why? For one, very little productive learning takes place when we practice this way. This is why you can "practice" something for hours, days, or weeks, and still not improve all that much. Even worse, you are actually digging yourself a hole, because what this model of practicing does is strengthen undesirable habits and errors, increasing the likelihood of more consistently inconsistent performances. In addition, practicing mindlessly lowers your confidence, as a part of you realizes you don’t really know how to produce the results you are looking for. Even if you have a fairly high success rate in the most difficult passages, there's a sense of uncertainty deep down that just won't go away. Real on-stage confidence comes from (a) being able to nail it consistently, (b) knowing that this isn’t a coincidence but that you can do it the correct way on demand, because (c) you know precisely why you nail it or miss it – i.e. you have identified the key technical or mechanical factors that are necessary to play the passage perfectly every time. Practicing mindlessly is a chore. We’ve all had well-meaning parents and teachers tell us to go home and practice a certain passage x number of times, or to practice x number of hours, right? But why are we measuring success in units of practice time? What we need are more specific results-oriented outcome goals – such as, practice this passage until it sounds like XYZ, or practice this passage until you can figure out how to make it sound like ABC. So what is the alternative? Deliberate, or mindful practice is a systematic and highly structured activity, that is, for lack of a better word, more scientific. Instead of mindless trial and error, it is an active and thoughtful process of hypothesis testing where we relentlessly seek solutions to clearly defined problems. Deliberate practice is often slow, and involves repetition of small and very specific sections of a skill instead of just playing through. For example, if you were a musician, you might work on just the opening note of a solo to make sure that it “speaks” exactly the way you want, instead of playing the entire opening phrase. Deliberate practice also involves monitoring one’s performance - in real-time and via recordings - continually looking for new ways to improve. This means being observant and keenly aware of what happens, so that you can tell yourself exactly what went wrong. For instance, was the first note note sharp? Flat? Too loud? Too soft? Too harsh? Too short? Too long? Let’s say that the note was too sharp and too long with not enough of an attack to begin the note. Well, how sharp was it? A little? A lot? How much longer was the note than you wanted it to be? How much more of an attack did you want? Ok, the note was a little sharp, just a hair too long, and required a much clearer attack in order to be consistent with the marked articulation and dynamics. So, why was the note sharp? What did you do? What do you need to do instead to make sure the note is perfectly in tune every time? How do you ensure that the length is just as you want it to be, and how do you get a consistently clean and clear attack to begin the note so it begins in the right character? Now, let’s imagine you recorded each trial repetition, and could listen back to the last attempt. Does that combination of ingredients give you the desired result? Does that combination of elements convey the mood or character you want to communicate to the listener as effectively as you thought it would? Does it help the listener experience what you want them to feel? If this sounds like a lot of work, that's because it is. Which might explain why few take the time to practice this way. To stop, analyze what went wrong, why it happened, and how they can produce different results the next time. Simple though it may sound, it took me years to figure this out. Yet it remains the most valuable and enduring lesson I learned from my 23 years of training. 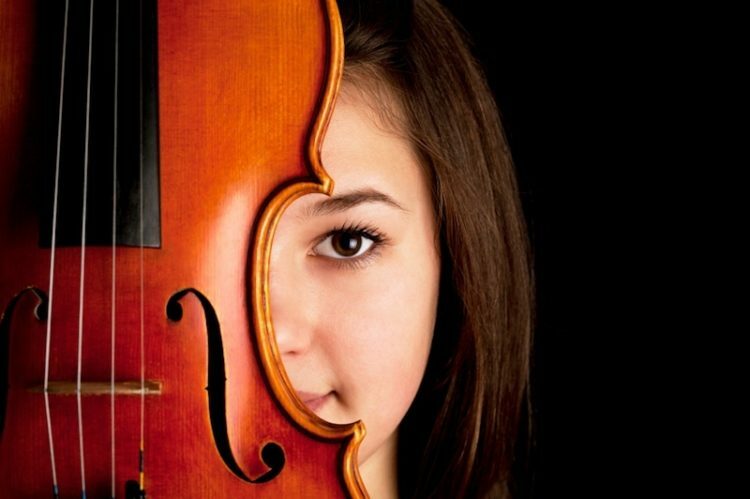 In the dozen or so years since I put down my violin, the principles of deliberate practice have remained relevant no matter what skill I must learn next. Be it the practice of psychology, building an audience for a blog, parenting, or making the perfect smoothie, how I spend my practice time remains more important than how much time I spend practicing. Here are the five principles I would want to share with a younger version of myself. I hope you find something of value on this list as well. Keep practice sessions limited to a duration that allows you to stay focused. This may be as short as 10-20 minutes, and as long as 45-60+ minutes. Keep track of times during the day when you tend to have the most energy. This may be first thing in the morning, or right before lunch. Try to do your practicing during these naturally productive periods, when you are able to focus and think most clearly. What to do in your naturally unproductive times? I say take a guilt-free nap. Use a practice notebook. Plan out your practice, and keep track of your practice goals and what you discover during your practice sessions. The key to getting into “flow” when practicing is to constantly strive for clarity of intention. Have a crystal clear idea of what you want (e.g. the sound you want to produce, or particular phrasing you’d like to try, or specific articulation, intonation, etc. that you’d like to be able to execute consistently), and be relentless in your search for ever better solutions. When you stumble onto a new insight or discover a solution to a problem, write it down! As you practice more mindfully, you'll began making so many micro-discoveries that you will need written reminders to remember them all. When things aren't working, sometimes we simply have to practice more. And then there are times when it means we have to go in a different direction. I remember struggling with the left-hand pizzicato variation in Paganini’s 24th Caprice when I was studying at Juilliard. I kept trying harder and harder to make the notes speak, but all I got was sore fingers, a couple of which actually started to bleed (well, just a tiny bit). Instead of stubbornly persisting with a strategy that clearly wasn’t working, I forced myself to stop. I brainstormed solutions to the problem for a day or two, and wrote down ideas as they occurred to me. When I had a list of some promising solutions, I started experimenting. I eventually came up with a solution that worked, and the next time I played for my teacher, he actually asked me to show him how I made the notes speak so clearly! It's extraordinarily easy to drift into mindless practice mode. Keep yourself on task using the 6-step problem solving model below. Or simpler yet, try out this model from Daniel Coyle’s excellent book The Talent Code. It doesn’t matter if we are talking about perfecting violin technique, improving your golf game, becoming a better writer, improving your marketing skills, or becoming a more effective surgeon. Life is short. Time is our most valuable commodity. If you're going to practice, you might as well do it right. Adapted from an article that originally appeared at The Bulletproof Musician. Performance psychologist Dr. Noa Kageyama serves on the faculty of The Juilliard School and the New World Symphony, where he specializes in teaching performing artists how to utilize sport psychology principles to perform up to their abilities under pressure. 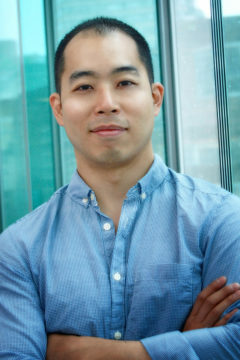 Also a conservatory-trained violinist with degrees from Juilliard and Oberlin, Dr. Kageyama's understanding of performance pressure and excellence come from his own experiences on the concert stage from the age of two. Through 23 years of training, complete with television and radio appearances, solo performances with orchestra, and international competitions, he experienced first-hand the discipline, hard work, and perseverance it takes to reach an expert level of performance - as well as the frustration of performing poorly at the worst possible moments. Dr. Kageyama's work has been featured in media outlets ranging from The Wall Street Journal to Lifehacker, and he has has provided seminars for institutions and organizations such as the New England Conservatory, US Armed Forces School of Music, Perlman Music Program, Starling-Delay Symposium, Music Teachers' National Association, and the National Association for Teachers of Singing. More about Noa Kageyama, Ph.D.